We're just over a month away from Valentine's Day now. Bloomex has you covered with hundreds of beautiful bouquets that are sure to make a lasting impression on February 14, the most romantic of days. Let's have a quick look at some of the wonderful options we provide, with delivery available throughout Canada. Red rose bouquets, starting at $19.99 for a bouquet of six beautiful long-stem red roses. We also offer an array of combo packages. 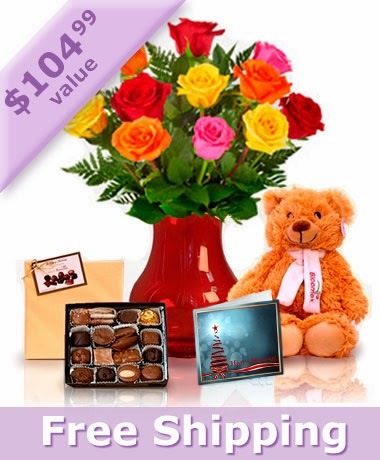 Take, for example, our 'Super Love' Combo (pictured above left): it includes 12 coloured long stem roses, a vase for the flowers, a personalized card, a box of chocolates and a Teddy Bear, all for a great price -- and shipping is free! 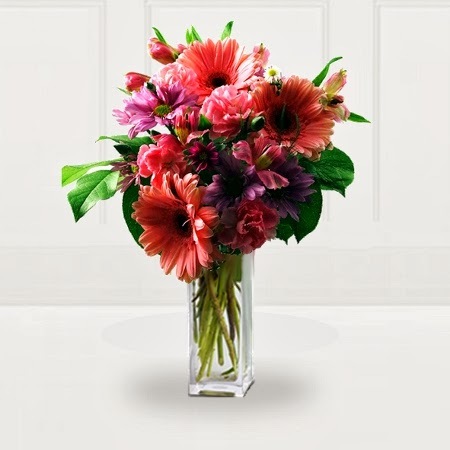 A perennial favourite with Bloomex.ca customers, containing a beautiful mix of Gerberas, Alstroemeria, Chrysanthemums and Greens. 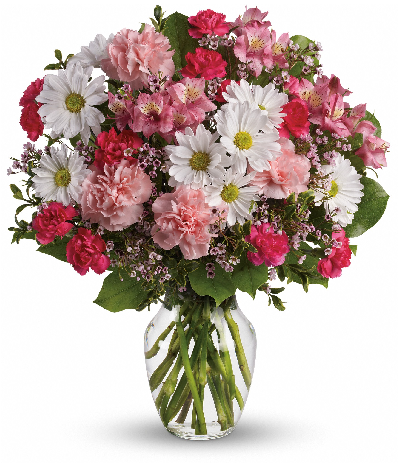 This is an absolutely beautiful bouquet featuring a variety of Alstroemeria, Carnations & Mini Carns, Daisies, waxflower and Salal/assorted greens. The perfect colours for the Valentine's Day! 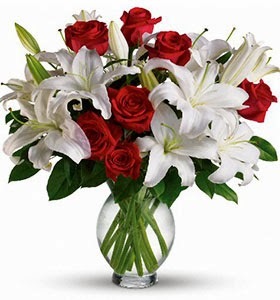 This bouquet is a gorgeous combination of Oriental Lilies and sparkling plump, long stem red roses. Check out our full selection of mixed bouquets here!